The Baltimore Ravens finally made the big splash promised to the fans. Former 49ers and Raiders wide receiver Michael Crabtree has agreed to a contract with the Baltimore Ravens. It’s reported that Crabtree signed a three-year deal, worth $21 million. He will receive $15 million over the first two years of the contract. Crabtree will be paid $11 million in guaranteed money, with a $7 million signing bonus. The contract could also yield Crabtree an additional $5 million in the first two years based on incentives. The Ravens focused on snagging Crabtree after another receiver Ryan Grant, failed his physical. The Ravens were set to pay Grant on a four year, $29 million deal, with $14.5 million fully guaranteed. Not only do the Ravens get arguably a better wide receiver, but they get him at a much better price. Michael Crabtree played against the Baltimore Ravens in Super Bowl XLVII, with the 49ers. The Ravens also saw much of him over the years since then, as he played with the Raiders, a team Baltimore frequently faces. Crabtree is a major upgrade to a receiving corps devoid of a true number one receiver. Now, Joe Flacco will have a proven, veteran receiver, who can make plays happen. The Ravens likely are not finished in free agency, however, as the team has been in talks with other offensive players. The Baltimore Ravens targeted former Lions tight end Eric Ebron after he was cut by the Detriot Lions. The former first-round pick never lived up to expectations, despite being a vertical threat receiver. The Lions were forced to cut him for salary cap reasons. Ravens General Manager Ozzie Newsome mentioned in a press conference today that he has been in contact with Mike Wallace’s agent. Wallace played his last two seasons in Baltimore and is an unrestricted free agent. He was the Ravens’ biggest playmaker through the air, and it would make sense for the team to bring him back. He has chemistry with quarterback Joe Flacco, who will need at least one familiar face in the receiving corps. The Ravens also are in talks with Michael Campanaro. Campanaro played with the Ravens since being drafted to Baltimore in 2014. 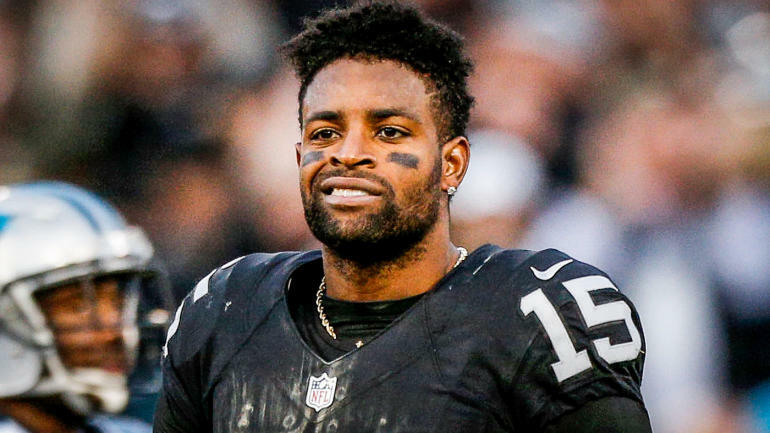 The #Ravens and WR Michael Crabtree reached a 3-year deal worth $21M, source said. He gets $15M over 2 years… and it could be up to $20M. $11M guaranteed. Really nice deal. Crabtree said he thinks about Super Bowl XLVII all the time. "It feels a little different, but I feel like I'm at home. The Super Bowl left me with a lot of memories, mostly bad memories. It was a battle out there and the best team won. I'm excited to put this purple on." Newsome said he's had multiple conversations with Mike Wallace's agent and team has been in contact with Michael Campanaro's agent. "I've not closed the door on either one of them."